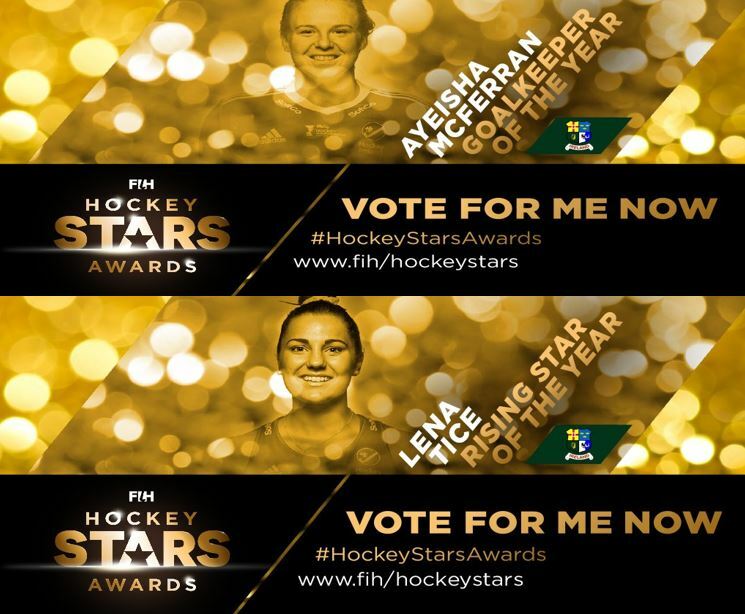 World Cup Silver Medalists Ayeisha McFerran and Elena Tice have been nominated for 2018 FIH Hockey Stars Awards following an historic year for Irish Hockey. McFerran is nominated for FIH Goalkeeper of the Year alongside Ye Jiao (CHN), Maddie Hinch (ENG), Rachael Lynch (AUS), and Maria Ruiz (ESP). While Tice is nominated in the Rising Star category against Nike Lorenz (GER), Ambrosia Malone (AUS), Marijn Veen (NED) and Lucina Von der Heyde (ARG). World Cup Silver Medalists Ayeisha McFerran and Elena Tice have been nominated for 2018 FIH Hockey S.. If your club or school has a coaching opportunity please send us on the information and we will post..